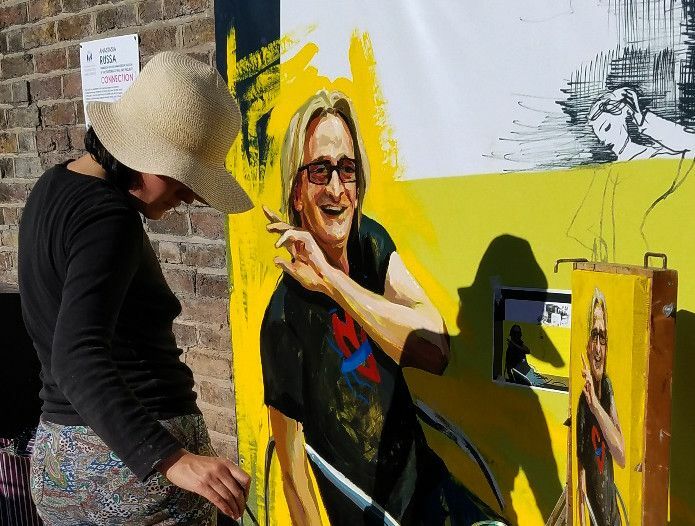 Anastasia Russa is the winner of the 10th Portobello Wall Art Project. Her installation will be unveiled on 17th October 5:00 pm at Portobello Wall, Portobello Road /Golborne Road London W10, followed by a drinks reception at Vicente Canada Blanch Spanish School. Her mural on the theme of Connection is a celebration of the past that shapes our present. She has depicted characters and events that have left their mark on the area – from a colourful cast of local characters, ghost busses and escaped monkeys to the recent tragedy of Grenfell Tower. Anastasia has spent the last few months researching the people and tales that define the culture and history of North Kensington. She says: "People, and the events that affect their lives, are woven into the rich texture and history of this area. 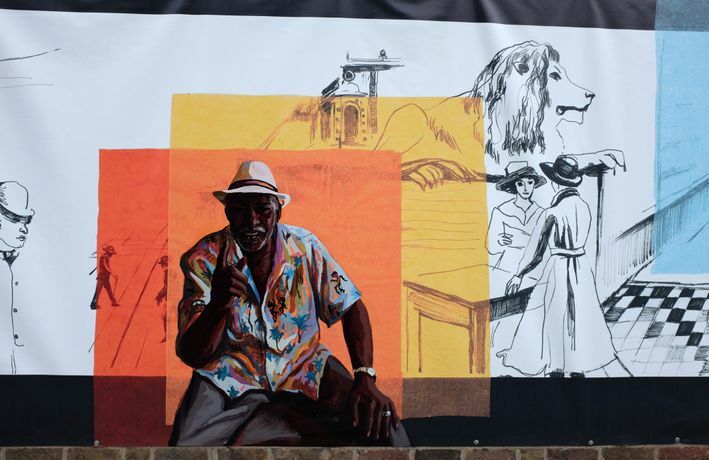 I have, like so many before me, brought an outsider's eye to interpret what it is that makes it a special place – an ever-evolving community that endures through good and bad times." Her imagery represents the multi-layering of memories and local folklore that each generation passes to the future. It reflects both what people have brought into the area and the way that it in turn has shaped people and forged a community. "If ever there was a need for connection, it is now." 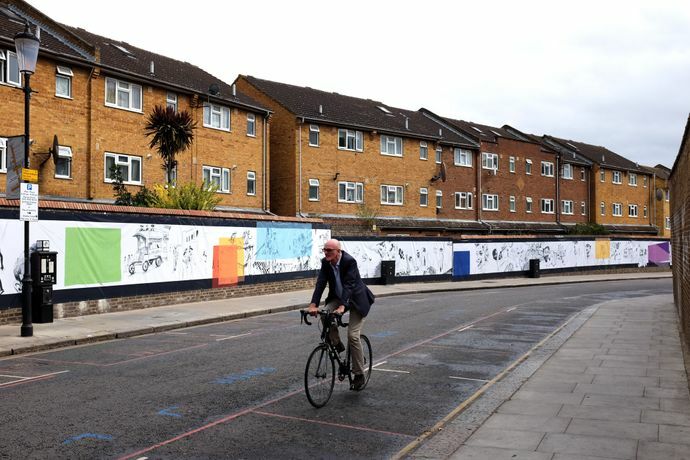 The Portobello Wall Public Art Project is an annual public art commission sponsored by the Royal Borough of Kensington and Chelsea for a 100-metre stretch of brick wall that links two of the most vibrant and well known market areas in London: Portobello Road and Golborne Road. Anastasia was born in Moscow and is now based in London. She studied Monumental Painting in Moscow, and Fine Art at the University of the Arts, London, and has exhibited internationally. She specialises in juxtaposing classical art with contemporary myths and media.